Sharman Joshi too will be seen playing a pivotal role in the movie. Shraddha Kapoor is coming in a brand new avatar in her upcoming film Haseena: The Queen of Mumbai and shared the first poster of the film on her Instagram account on Monday. It seems that the Ok Jaanu Actress wants to change her cute image by portraying some serious roles on the screen. Shraddha Kapoor is all set to play gangster Dawood Ibrahim's sister Haseena Parkar in Haseena: The Queen of Mumbai. The film is under the direction of Apoorva Lakhia. The backdrop of the poster shows the iconic landmarks of Dubai and Mumbai. The 29-year-old actress is wearing a black suit and the emphasis is on her kohl eyes. Director Apoorva Lakhia also shared the same poster and captioned it: "The queen comes to town." 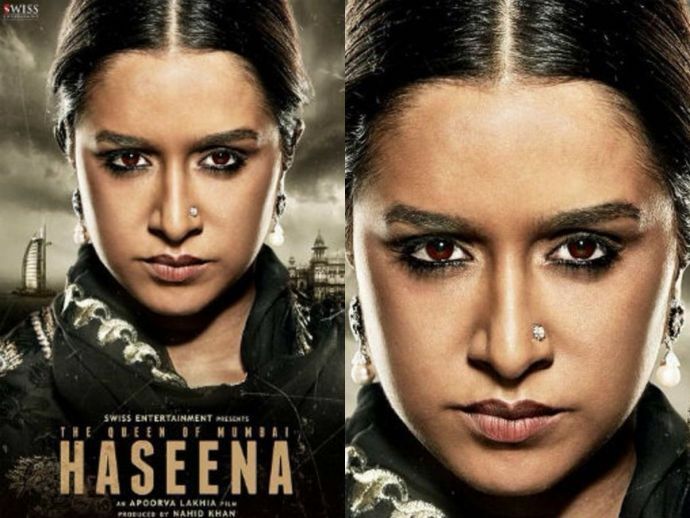 This film is a story of dreaded underworld don Dawood Ibrahim’s sister, Haseena Parkar. Sharman Joshi too will be seen playing an important role in Haseena. The film will probably hit the theatres in July.